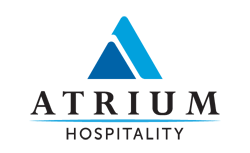 Atrium Hospitality is a leading hotel and asset management company headquartered at Deerfield Point in Alpharetta, GA, overseeing a portfolio of hotels licensed primarily through the Marriott, Hilton and Intercontinental brand families. In addition, Atrium Hospitality provides asset management and accounting services to a number of other hotel debt and equity investments held by our ownership groups. With a best in class executive team, we work to maximize the financial performance and value of every property and investment. We will be better today than we were yesterday. We deliver the best guest experience possible. We are a home away from home for our guest, and we are charged with making them feel safe and welcome. Our associates are our family, and we provide them the resources and support needed to produce the best work environment possible.